A Barclays Premier League season brings huge expectations and hope with it. From mouthwatering top of the table clashes too some equally interesting relegation battles, the BPL is like a soap opera in itself. Like a much awaited seasonal TV series the league has its fair shares of ups and downs. A fair bit of drama follows with teams either over performing or underperforming at critical junctures putting entire predictions into disarray. Despite all this only a couple of clubs begin as favorites to clinch the league championship. As usual we have the two teams from Manchester and European Champions Chelsea followed by dark horses Arsenal as favorites to lift the title, forming the new BIG 4. Perennial favorites Manchester United will once again begin this season the more or less the same way, the only difference being that they will be the Challengers to Manchester City’s Champions. After what has been an extremely fruitful transfer window, Sir Alex Ferguson has managed to pick up a couple of quality signings to strengthen a team that missed out on last year’s title by mere seconds. With Japanese playmaker Shinji Kagawa now added to the United midfield and a deal for meteoric Dutch striker and last year’s BPL Golden Boot Robin Van Persie almost completed, SAF will be hoping that he has done enough to wrest back the title from Mancini’s boys. One of the major points of concern though for Manchester United has to be that of underperforming French full-back Patrice Evra. Once considered as among the best of his generation, Evra has struggled for form and consistency in the past season. A bid to replace him with Everton’s left English left back Leighton Baines has reportedly failed. Also on the roster will be the young blood of Englishman Nick Powell and Chilean Angelo Henriquez. 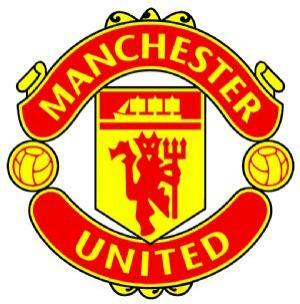 Manchester United though will have to deal with some serious issues in the starting line-up with a mouthwatering group of strikers in Rooney, Persie, Hernandez and Welbeck to choose from. What happens to Berbatov is yet to be seen. In the evergreen Giggs and fantastic trio of Young, Valencia and Nani, United truly have a world class squad. Their main cause of concern is repeated injuries. Players like Nemanja Vidic, Darren Fletcher, Phil Jones and Chris Smalling being injured for long periods of time was the main reason they missed out on the title last year. SAF will have to make sure they last the season if they want to even come close to winning the title. An uncharacteristically quiet transfer window has seen Manchester City’s big spending cut down to only one £12 million signing in the form of Everton wonderkid Jack Rodwell. With an embarrassment of riches at their disposal, having quality players for every position, Manchester City will begin their title defense as favorites. Roberto Mancini’s men go into the season with a disadvantage having shot stopper Joe Hart and captain Vincent Kompany both suffering from injury niggles. With an in-form Sergio Aguero and Carlos Tevez alongside temperamental Mario Balotelli at their disposal, City should have no problem in racking up the goals. An unchanged side will also work to their benefit as the squad has already played together and linking up of players during passes and crosses will come far more naturally and easily. Mancini though will be looking to add to his player rosters. With talismanic midfielder Yaya Toure, known for his accurate long range goals, fit and raring to go, and Frenchman Samir Nasri also coming into form, the midfield looks solid and ready. Wingers David Silva and James Milner have been in fine form and Micah Richards had a good outing at the Olympics. Mancini’s new target this year seems to be to get multiple trophies. Their biggest obstacle though, will be handling large player egos. Dressing room showdowns and infighting will have to be managed by Mancini if he wants to deliver trophies he has promised to his Arab bosses. Champions of Europe Chelsea will look to lay their hands once again on the title that they have secured thrice under Roman Abramovich. Although a widely criticized defensive display was responsible for that fabled Champions League triumph, Chelsea have decided to break the bank this season to fulfill what has been Roman’s aim of playing “beautiful football”. Almost £65 million have been spent on signing young superstars in Belgium’s Eden Hazard, Germany’s Marko Marin and Brazil’s Oscar to team up with Juan Mata, Ramires and Frank Lampard to provide the attack with some teeth. As Chelsea embark on their first post-Drogba season, all eyes will be centered on £50million signing Fernando Torres. After what had been an extremely torrid first 6 months, Torres has started showing flashes of the brilliance that prompted Abramovich to sign him. Unlike KOP flop Andy Carroll, Torres has actually started to get into his own groove having scored a hat-trick (albeit against relegation threatened QPR) and taking home the golden boot at EURO 2012.The opening goal in the community shield match against League champions City and an assured striking slot will surely add to his confidence. The emergence of young players in Daniel Sturridge and Ryan Bertrand will also add confidence to interim-turned-full time manager Roberto Di Matteo who will look to emulate his successful end to the season. Don’t be surprised if Chelsea manages to battle it out for multiple honors this year as the club will also compete for the FIFA Club World Cup and the European Super Cup. Arsenal, dark horses of the premier league. 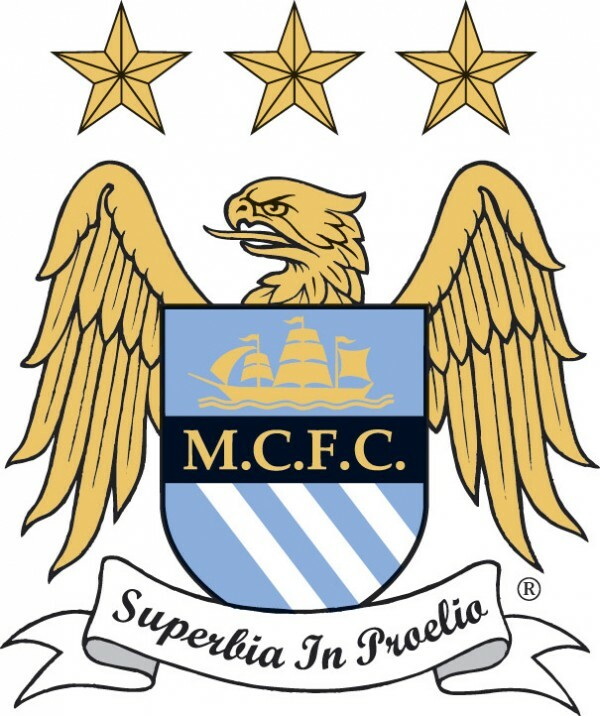 Arguably the club which flatters to deceive year after year. Once, an invincible club in the premier league, the Arsenal of today somehow manages to scrape into the top 4 year after year. Although they have a quality group of players and a fine manager, they, for some inexplicable reason manage to remain without a major trophy every year. Having lost Cesc Fabregas and now strike spearhead Robin Van Persie, Arsenal would have seemed to struggle to even compete for Europa League spots if not for some very shrewd signings by Arsene Wenger. For a manager whose name sounds like he was made for Arsenal, Wenger has been forced to take into some serious budgetary constraints while building his squad over the years. Usually a fan of French players and the French league, Wenger has gone against his natural nature to pick up Malaga’s Spanish winger Santi Cazorla and Cologne’s German veteran forward Lukas Podolski. In former Montpellier Ligue 1 top scorer Olivier Giroud they have a well-developed replacement for outgoing captain van Persie. Arsenal too boasts of an enviable frontline of Cazorla and Walcott in the wings and Podolski and Giroud up front. Their main cause of concern should be the defense and if they can make a quality signing before the window ends they could truly threaten to tilt the leagues balance in their favor. Arsene will though have to look out for long term injuries like those suffered by Wilshere to not put a dent into his plans. They should start small by aiming for the Capital One Cup and FA Cup as priority targets. Nice blog! I'm a Chelsea fan too! The purpose of writing this email is that I want to take the opportunity to work for your website as a guest author. Currently I am working at Footballcoast and Chelseafcfansclub. They focus on providing the latest news and reports in the footballing world. We can offer you free and unique articles on regular basis. I belive this will give us a platform to gain some experience. If you are interested we can work together to create backlinks for the SEO.